Unlocking Sherlock takes viewers on a personal voyage through the versions of Holmes that have served as inspirations for the new series – the original stories, their factual origins, hundreds of film adaptations – to arrive at their thoroughly modern Sherlock. Moffat and Gatiss explain the challenges they encountered adapting the original adventures of the iconic super-sleuth. 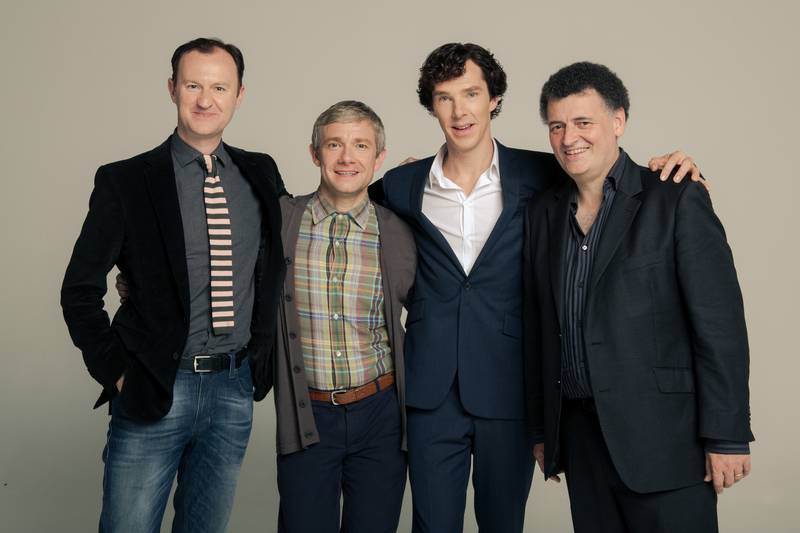 The special goes behind the scenes on the set of the hit television series, and includes interviews with actors Benedict Cumberbatch, Martin Freeman and Lara Pulver, who talk about the reinvention of their fictional characters. Moffat and Gatiss describe the evolution of Dr. Watson, Inspector Lestrade, Mycroft, Jim Moriarty and Irene Adler, as well as Holmes, from Conan Doyle’s original characterizations, through numerous cinematic and televised versions to the contemporary Sherlock. In short: It sounds awesome. Also, before any of my fellow die-hard fans ask me: I’ve also had it confirmed that this is brand-new content, and not the Series 1 and 2 Unlocking Sherlock featurettes that were included as DVD special features. So, get excited! The special will air on PBS stations nationwide beginning January 12, but, as a special holiday treat for fans, Unlocking Sherlock is already available to stream online, in full. So, if you need a break from unwrapping presents, take some time to get a look behind the scenes at this popular drama. You can watch the full film right here.